The electric cars range of Mercedes-Benz is still reduced to one model, the B 250 e, but that will change soon. Parent company Daimler intends to invest no less than 10 billion euros in the development and introduction of fully electric cars. 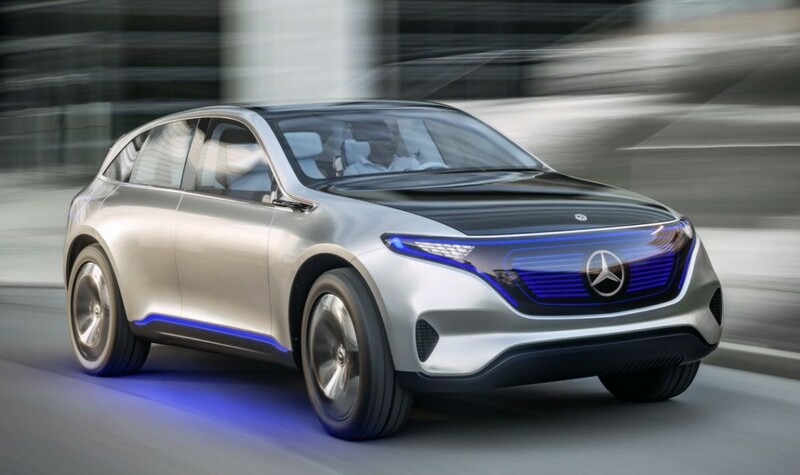 Daimler will bet everything on the success of the all-new Mercedes-EQ sub-brand, dedicated exclusively to electric cars. The plan has been reconfirmed by Thomas Weber, head of the development at Mercedes-Benz. Until 2025 there will be a total of 10 fully electric Mercedes-EQ and Smart cars available in showrooms, all built on a new modular platform. The specially developed for electric vehicles MEA (Modular Electric Architecture) is made of steel, aluminum and carbon and is scalable across all classes and sizes in every respect: wheelbase, track width and all other system components, especially the batteries are variable due to the modular system which can easily spawn anything, from SUVs to sedans, coupes or convertibles. The battery is integrated into the vehicle floor, between the axles. The power of the drive train is scalable with a maximum output of up to 300 kW (402 hp), 700 Nm and a range of up to 500 km. The modular lithium-ion battery module comes from the Daimler subsidiary German Accumotive and has a total capacity of 70 kWh. The first of four electric models built on the all-new modular MEA platform will be the Generation EQ, GLC sized SUV – set to reach Mercedes showrooms in 2019. By 2020, Mercedes will have more than four dedicated electric models in its range, while by 2025 their number is set to go beyond 10, Mercedes’ guru Dieter Zetsche has revealed. The production version of the EQ concept will be produced in Bremen, alongside the current GLC (MORE DETAILS HERE). Mercedes will also add to the line-up a fuel cell GLC, also previewed in concept form, also built in Bremen. READ MORE ABOUT THE GLC F-CELL.